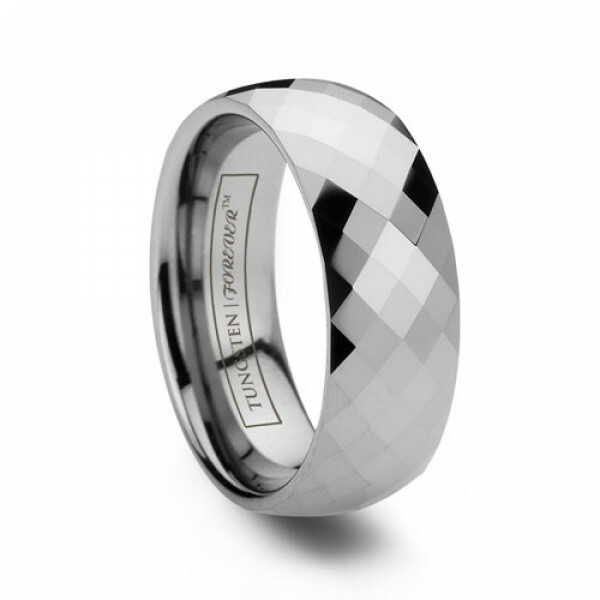 Sure to catch anyone's eye, this ring brings the brilliance of high polished tungsten to life! No doubt, the PRISM cannot be ignored. This perfect, dual purpose Tungsten Forever ring fits right into fashion or wedding wear. The PRISM even makes a great accessory, and is creating a buzz in the tungsten jewelry industry. Tungsten Carbide is engineered to be maintenance free, scratch resistant and will not fade or tarnish. Unlike other tungsten rings online, our Tungsten Forever™ bands are independently tested to guarantee they are the toughest of them all! Review by Bellagiofan (Las Vegas, Nevada) - Excellent quality, amazing service, custom request fulfilled making TungstenWorld my place to shop. I rarely write reviews and I'm doing this during the Ranger playoff game so that means I take this very seriously. 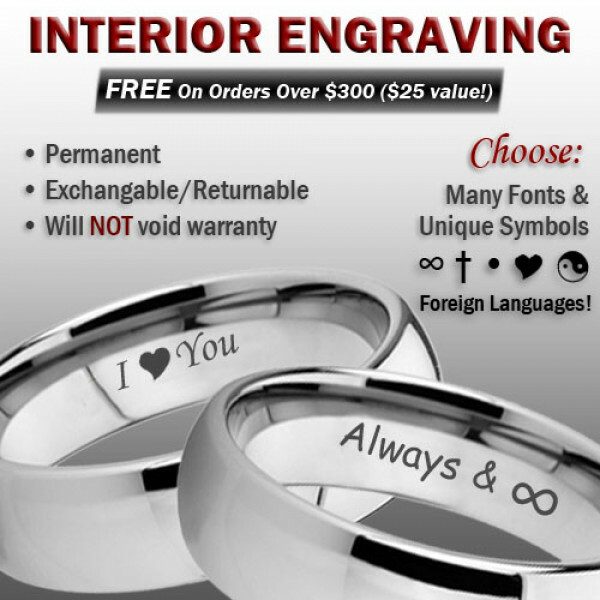 Tungsten World blew me away and I am fanatical about customer service. The ring is great, but my finger size is 6.25 and so I went as suggested to a lower size and got the 6. It turned out to be too tight so I returned it. I fear that the next size up (6.5 since they don't make quarter sizes) might be too big so instead of ordering a replacement ring, my fiance and I are going to drive from Vegas to their store in Brea, CA and try them on first hand (we have other stuff we have to do in the LA area anyway). I have had this ring 4 years now and it still shimmers and shines like it did on day one. I work in underground construction, I work with hard rigid materials all day and this ring never got 1 scratch I was truly amazed. Also when the sun hits this ring it will look like a thousand diamonds in the sun. Don't be wary to buy from Tungsten World they are great. 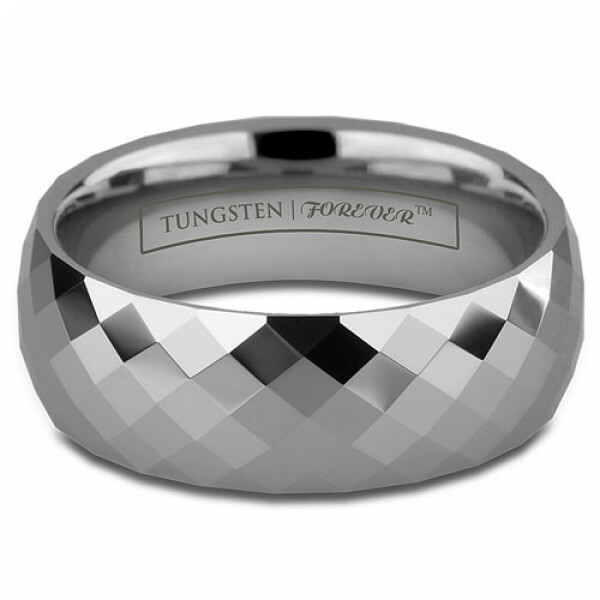 Tungsten Carbide is truly a very tough scratch proof ring. 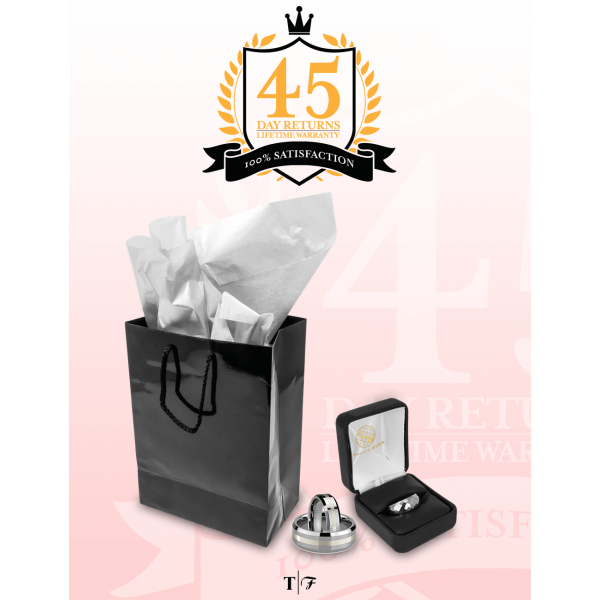 Review by Tashaz89 (, ) - Great ring at a great price! Review by Shondra (Westminster, Colorado) - Excellent service and merchandise! !